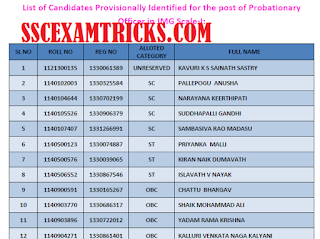 Canara Bank Final Allotment List 2015 for PO / MT Declared - Latest news is that Canara Bank has declared first allotment list of selected candidates for the post of Probationary Officers and Management Trainee (MT) on the official website www.canarabank.com. Canara Bank had announced List of candidates who have been identified for the post of Probationary Officer in JMG Scale-I. Candidates must note download that the finally allotted candidates will go for joining to their allotted station in August or September 2015 (tentatively). Canara Bank has sent this information to the selected candidates registered email ID. The final appointment letter has sent by post to the permanent address of selected candidates registered during apply for IBPS PO IV 2014 online application form. Canara Bank has released list of candidates whose folders could not be processed completely for want of Documents. In case of any discrepancy, Canara Bank will send discrepancy on their registered Email ID. A notice for change in SBC category candidates has released in the end of the final allotment list released by Canara Bank.In the list of Final Allotment list for PO / MT, the roll number, registration ID, Full Name and Category of the candidates are mentioned. 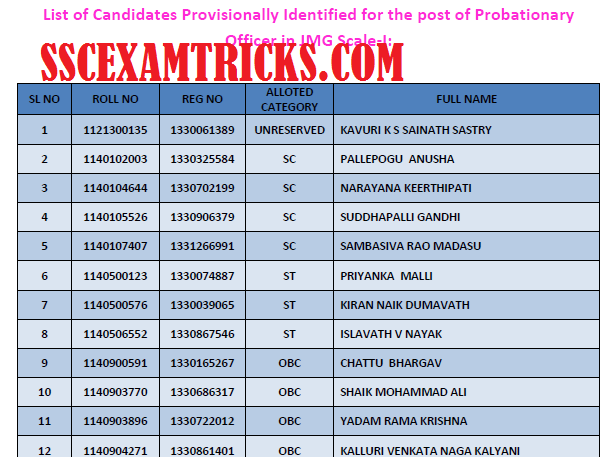 Besides that Canara Bank has declared list of ineligible candidates for the final allotment of PO / MT 2015. How to download Canara Bank Final Allotment List 2015 for PO / MT: It is just easy to download final allotment for the post of PO / MT in Canara Bank. The candidates just click on direct link to download Canara Bank PO / MT Final Allotment List and download the final allotment list in PDF. Press Ctrl +F to find your roll number or registration ID. Write name, roll number or registration id of the candidate in search box. Use arrow keys or press enter to find your name in Final Allotment list for Canara Bank PO / MT Recruitment 2015.